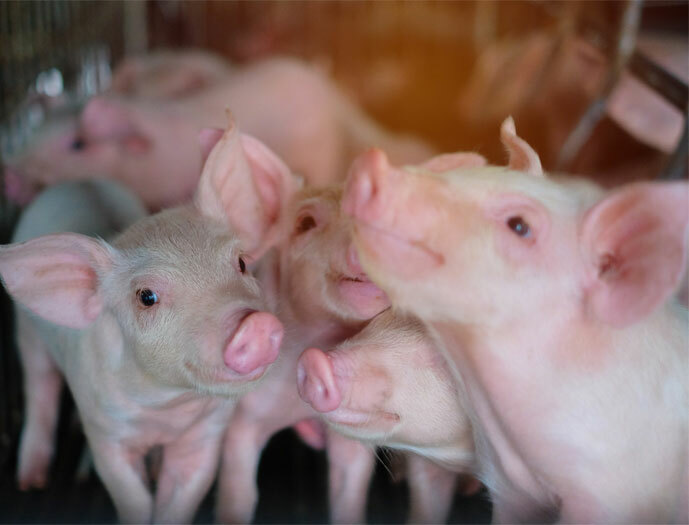 The production of pork in Europe is based on a precisely normalized system of Community regulations, of which the first priority is to ensure the safety of the raw material produced while maintaining the highest protection of animal health and welfare. Standards implemented in the EU legislation resulting from, among others, Good Agricultural Practices (GAP) place particular emphasis on the production of safe food while maintaining sustainable economic development, social cohesion and environmental quality. supervision of the conditions and time of animal transport to the slaughterhouse in order to reduce ante-mortem stress. The European tradition in pork production and decades of experience in its improvement allow to produce pork with excellent technological parameters, high culinary quality and excellent taste qualities. The production process takes into account selection and measurements at each stage, which enable constant supervision over the created quality. It is a consequence of the planned process in which the selection of breeds, care for nutrition and animal welfare, control of the slaughter parameters, the manner and conditions of meat packaging create the quality of the final product at a high level.